The best thing to do is get in touch with me either via phone or email. We can have a chat about what mountain activity aspirations you have and look at an itinerary that will suit you. 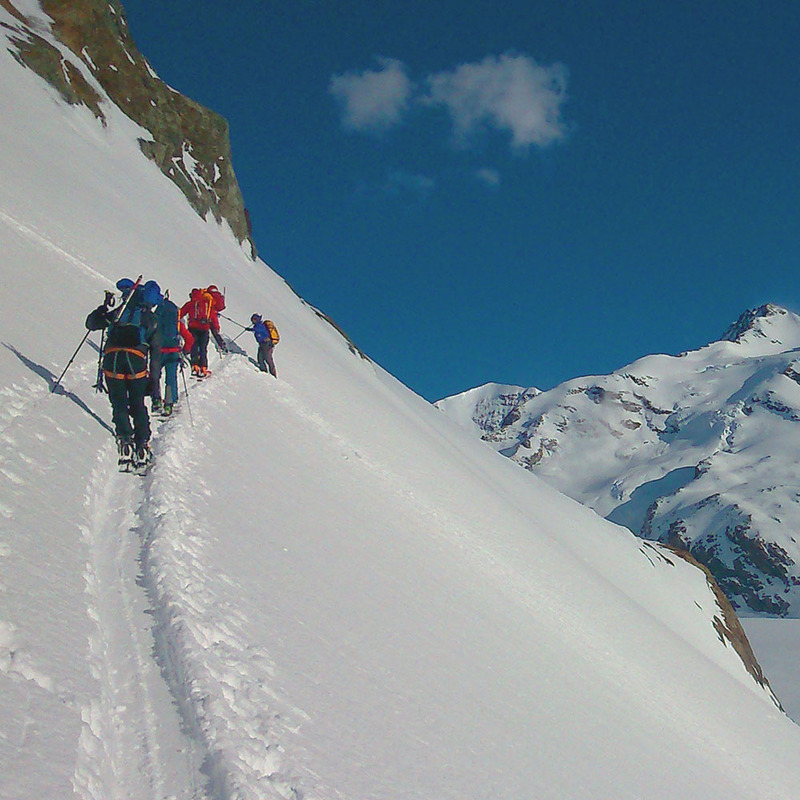 Often when people enquire for ski, climbing or alpinism guiding, they find they don’t quite know exactly what they are after so bouncing some ideas about can often result in a great itinerary. I spend most of my time between my base in the Mourne Mountains, Northern Ireland and the Chamonix Valley. Saying this, I often arrange trips with clients to Scotland, Norway, Spain, Canada and America. If you have an adventure in mind, I’ll help you arrange the ideal itinerary. My ability to be flexible paired with a passion for the outdoors will result in a real memorable experience! If paying in Euro it will be priced at the conversion on the day of enquiry. The above rates are subject to change depending on the chosen objectives. As an IFMGA guide I must work within recognised guide: students ratios ie. 1:1 ratio on the Hornli Ridge, Matterhorn or 1:2 ratio on Mt Blanc. My daily rate includes guiding and communal safety gear. My daily rate does not include over night hut fees, valley hut fees when away from Chamonix Valley, transport away from Chamonix Valley. You will need your own climbing gear and insurance – I recommend BMC cover for this. Please don’t hesitate to contact me if you have any questions about any of the above.